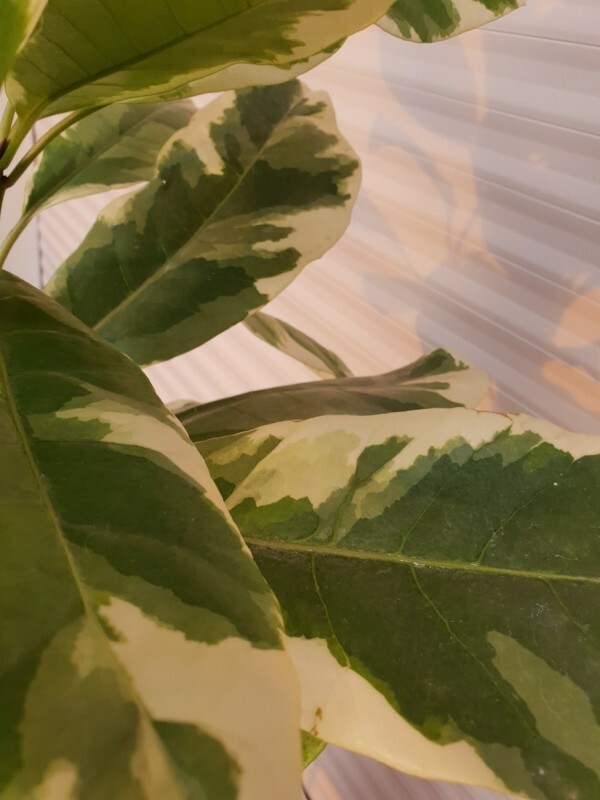 Variegated Pisonia is an indoor only plant with gorgeous cream and green variegated leaves. 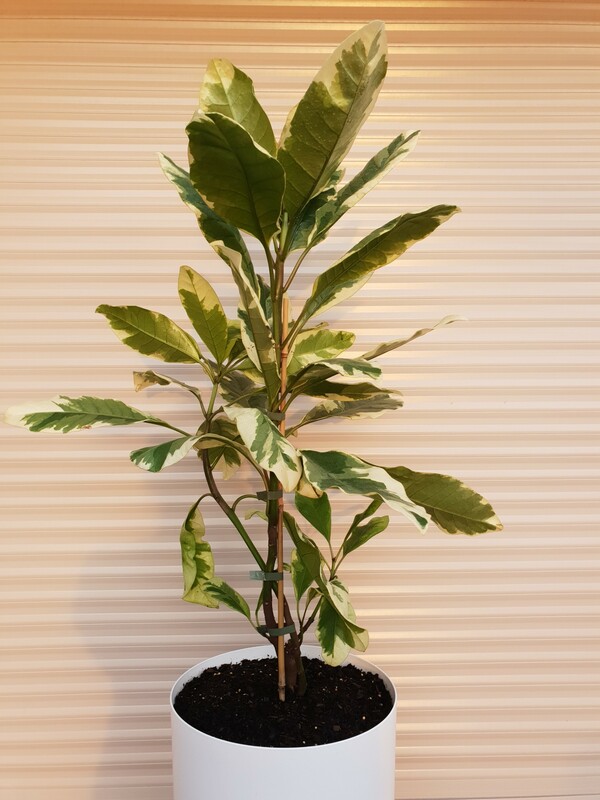 A small tree or large plant suited to an indoor filtered light position in your house. The foliage on this plant is amazing, with lush leaves featuring several shades on the one leaf. Can grow to 1 – 2 metres in an indoor pot. We have potted this beauty into a large white Mr Kitly self watering planter. These planters are the best! Designed from a collaboration with Decor these are the perfect lightweight planter with an ingenius self watering system.